Rosso Pomodoro is as close to the real thing as it gets. I say that because I lived and travelled around Italy for a year. All the food is fresh and raw, raw meaning not from concentrate or a can. This is the way food was meant to be prepared. 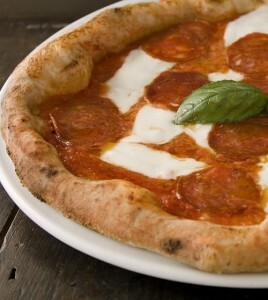 It virtually takes 10 minutes to order, prepare and cook your own pizza. This all can be seen while he makes the pizza right in front of your eyes. You’ll also notice if the weather’s nice you can sit outside and people-watch in view of the rest of the Italian restaurants on Kensington Park Road…. To miss out on the Rosso Pomodoro on your move to Notting Hill would be a great culinary mishap.